As I was looking out over the audience during Isaiah House’s graduation service today, I found myself wondering what must be going through the minds of the family members. As a family member of someone trapped in the throes of addiction, you know what it means to endure pain. Attempts at rescuing fail, ultimatums are ignored, mercy is trampled, patience is exhausted, and trust is crushed. You are profoundly hurt and wonder how much longer you can survive the chaos. Only God knows how many promises you trusted, how many “I’m sorry’s” you heard or how many times you took on the role of encourager or healer. But God reaches farther, speaks clearer, and acts stronger than you ever will. You grow weary but He never sleeps. Faith keeps you focused on the right thing in challenging times. When you exhaust all your efforts and resources, remember to trust instead in God’s intervening grace. Brokenness is easily seen in addiction. However, as months and years pass, brokenness becomes a way of life. The addiction problem consumes every aspect of life and it feels like your family’s certain future. Jesus has given a gift to the broken future that you face. It is the gift of hope. It is the promise that He will never leave nor forsake you. It’s the hope that can keep you whole in the mist of brokenness. It’s a hope that can and does find root in the lives of those engulfed by their addiction. It’s difficult to love someone who lives in continual self-destruction, lies and deceit. It’s hard to love someone who tramples sacrificial love. To love someone in addiction is to invite pain into your life. Yet, that’s what love does. No addict will ever find true freedom without love. As it has been said, “You can get sober without love, but sobriety isn’t freedom.” The love and redeeming grace of Christ offered in His atoning sacrifice for all sins is what we all need. Those in addiction need to see our confidence in the love of Christ. Love will help you try one more time or to stand firm on a boundary you were forced to draw. It is this love that truly transforms lives from death to life. I want to thank all the graduates and families of graduates for reminding me that faith, hope and love still overcome. It is faith, hope and love that has brought us this far and will ultimately lead us in victory to our eternal home! Our Grand Opening and ribbon cutting ceremony for the Jake Kuertz Center and Greg Bowen Center took place on Monday, October 29th with distinguished guests in attendance including Governor Matt Bevin and Kentucky Attorney General Andy Beshear. Governor Bevin and Attorney General Andy Beshear delivered heart felt and encouraging speeches. The families of Jake Kuertz and Greg Bowen were a part of this momentous occasion. 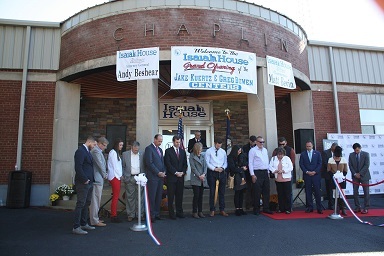 Each family spoke of their love for Isaiah House and the honor they felt that their loved ones are being remembered by having their names put on our centers for addiction treatment in Nelson County. Our Chaplin campus is located in the old Chaplin school building. Each center is a 16 bed Medicaid facility for men. Our construction company, Isaiah 58 Builders renovated the building to meet licensure and accreditation requirements. 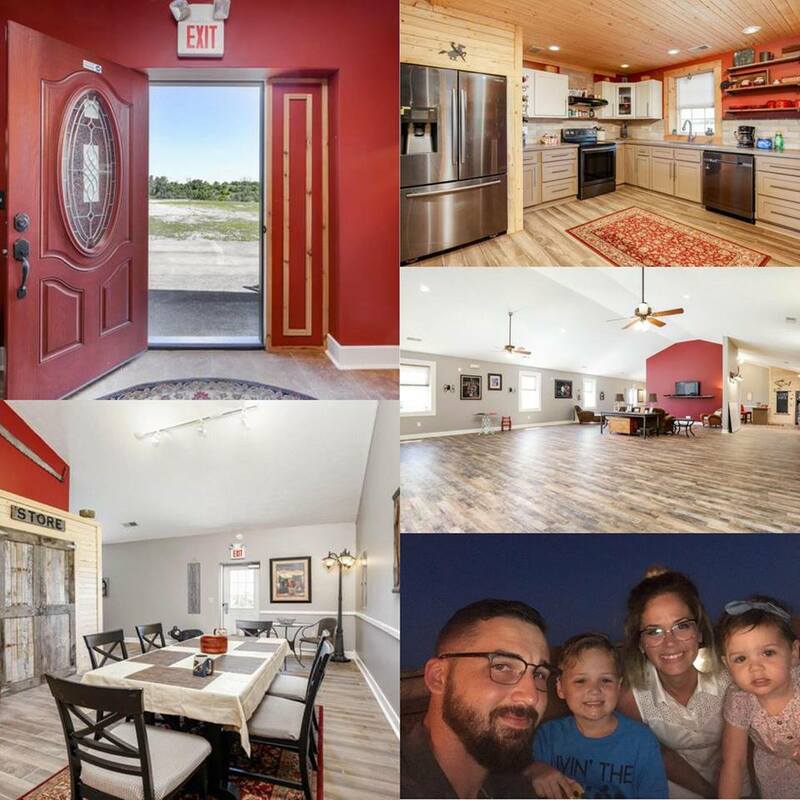 Isaiah 58 Builders employs clients and graduates of Isaiah House, Inc. The building includes staff offices, dorm rooms, classrooms, a kitchen, recreation room, counseling offices and a med room. Outside the back of the building, there is a meditation and fire pit that Nelson County Leadership recently completed as one of their community projects. The fire pit has swings and seating by Rocky Top Furniture. It overlooks a quarry for the men to enjoy quiet time. Our ceremony included speeches from the President of Isaiah House, Mike Cox, Kentucky Attorney General Andy Beshear and Governor Matt Bevin. The Kuertz and Bowen families were presented drawings of Jake Kuertz and Greg Bowen drawn by our staff member, Germaine Dunn. Our guests gathered behind the ribbon as they cut the ribbon together. We had closing prayer following the ribbon cutting to end this special event. We then provided tours of the centers for our guests. 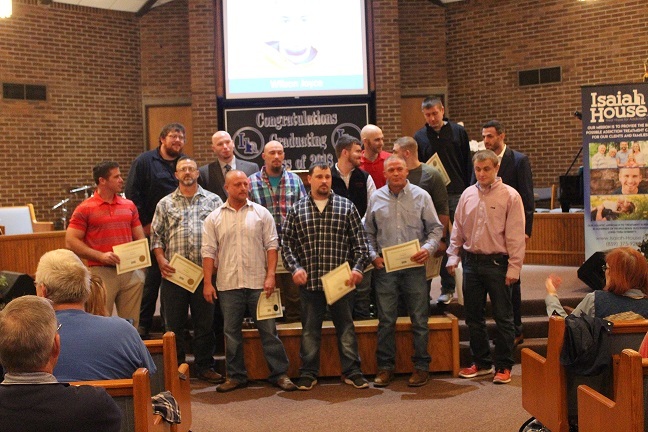 On October 27th, an Isaiah House program graduation celebration was held at Willisburg of Church of God of Prophecy for 50 men who completed their programs. The first photograph is of the 36 men who completed Phase 1: short term (28 days) of treatment and the second photograph is of the 14 men who completed Transformation: long term (8-11 months) of treatment..
Our celebration of the accomplishments of the men began with President Mike Cox describing Isaiah House Treatment Center and the programs we offer. Mike called off the names of the men who had completed Phase 1 as Jordan Wilson handed the certificates out. After gathering the men to take a picture, Justin Vandeventer stepped on the stage to share his personal testimony. Justin is a part of our praise and worship band, Rise Up, is a staff member and graduated from long term treatment on Saturday. Julius Maddox, one of the World’s Strongest Men from Owensboro, Kentucky was our key speaker. Julius delivered an inspiring story of recovery to the congregation. Johnny Hackworth spoke about the importance of giving before we took a love offering while Rise Up played. Windy Warren, our Admissions Coordinator was our women’s program’s first graduate. She or one of the admissions team members is the first contact for the men that come through our doors. Windy shared words of wisdom with the men before she called out their names while President Mike Cox handed out their certificates. CA Shelley, Isaiah House volunteer, completed our graduation ceremony with his poetry and a prayer. The spirit and energy in the building is one of love, appreciation, joy, hope and celebration. There is a Facebook LIVE video for this graduation. See the whole graduation by clicking the highlighted words. Isaiah House’s substance abuse treatment centers in Nelson County will now be able to prepare food on site for its residents thanks to a grant from the Honorable Order of Kentucky Colonels. The $15,092 grant will be used to purchase commercial kitchen equipment for the Jake Kuertz and Greg Bowen centers, Isaiah House’s new 16-bed residential treatment centers in Chaplin, KY. The Centers opened earlier this year to meet the growing demand for addiction treatment for Kentucky Medicaid recipients. 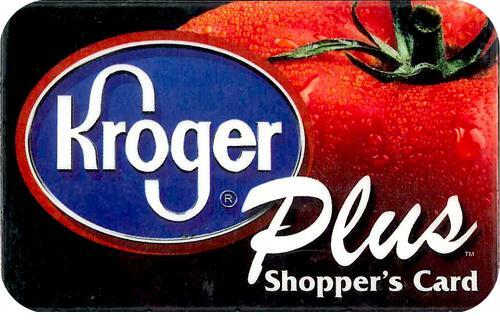 The Kentucky Colonels grant will eliminate the need to prepare meals at Isaiah House facilities in Willisburg and transport them three times a day to serve its clients in Chaplin, a 10-mile round trip. Grants funds will purchase a range, microwave, hot food tables and a grill. 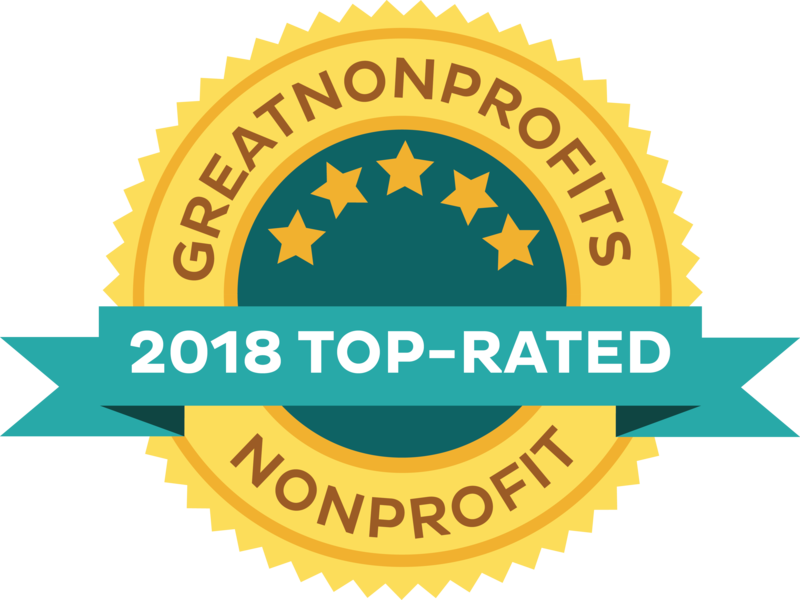 Isaiah House was one of 230 charities to receive a grant through the Kentucky Colonels 2018 Good Works Program. The grant program awarded a record-breaking $2 million to support charities across the state. “We are extremely grateful for the generosity of the Kentucky Colonels. The grant will make it possible to better serve our clients and create a more efficient operation,” said Mike Cox, President of Isaiah House. Isaiah House is one of Kentucky’s largest nonprofit addiction treatment programs for men, offering both outpatient and residential treatment. Facilities include a 92-bed residential facility, three 28-day centers, onsite vocational center and transitional housing. The two facilities in Chaplin have the capacity to serve over 600 recovering addicts annually. A project is currently underway to open a new women’s treatment center in Mercer County. In 2017, Isaiah House provided treatment for Kentucky residents from 76 different counties. My name is Melissa Howard. I am from Danville, Kentucky. I could start with my childhood but it would explain nothing. I had a great, God-filled childhood. All I know is I never felt "home." So instead, let’s start with high school and college. I was a very good student, and I excelled in sports. I played volleyball and softball for as long as I can remember. Sports were a perfect outlet for me. Although I looked like an all-American girl; I had already been smoking weed, drinking, and popping pills for years. When I left high school and went to college, I continued to play sports and kept up good grades, but in my personal life, I had found oxycontin and cocaine. Doing oxycontin was the first time I felt like I had found "home." After 3 years of doing well in school and sports; I got hit with a random drug test and I knew my career was over. I left school, and this began my many years of rehab failures. Shortly after leaving school, I met my husband and soul mate, Jacob Howard. We used together, loved each other, and hated ourselves. It was absolute chaos. We got pregnant and lost our first child when I was 8 months pregnant. We got married and found heroin all at the same time. I got pregnant again and he was born addicted. We didn’t even get to take him home from the hospital and custody went to my mother. All of these self-made tragedies only added fuel to the using fire. I had completely lost everything in life. Jacob and I split for a time and I ended up homeless in Lexington after one more failure at rehab. I was completely broken. Through the grapevine I heard that Jacob had gone to Isaiah House and had completely changed his life. Missing him and desperate to understand how he succeeded, I called Isaiah House really not even knowing if he would speak to me. After a couple of attempts, I finally got to speak to him. The life in his voice was enough to give me the amount of hope it took to make me try one more time. Jacob tried to help me find a bed somewhere, but it seemed bleak. Out of nowhere Jacob called me about the Hope Over Heroin event in Danville. This event gave me a free bed at the women’s center at Isaiah House. As soon as I walked through the doors, I was HOME and this time it doesn’t need quotations. I stayed at the women’s center for 30 days and found a God that I had never known. After 30 days, the women’s center was shutting down. They set me up with a job and moved me into sober living with 3 really wonderful girls. Not long after that, Isaiah House moved myself, Jacob, and our son into a new sober living home. We were finally back together. Today, we are a family of four. We have a happy, healthy baby girl and live in our own home. We have full custody of our oldest child and my youngest will never know an addict mother. Jacob and I are both staff members of Isaiah House and we worship God together. I am three years sober. My heart and gratitude to Isaiah House is overflowing. We have been so blessed. The grace of God is more than amazing. I could not ask for more. We have exciting News! We have purchased property in Mercer County to open a women’s center. We have been praying for this for a long time. Our prayers have been answered. The Lisa Walker Center will be a 16 bed Medicaid center on 5 acres of property. We hope to be providing treatment for women in your communities by Spring of 2019. The property needs very little renovation. What it does need is a new septic system and furniture. The septic system must be completed before we can move forward. Melissa’s story here in this edition of Recovery Review is a testament that there is real hope for addiction for women through Isaiah House. We are looking forward to helping women starting a new life free from addiction. We need your support to do that. 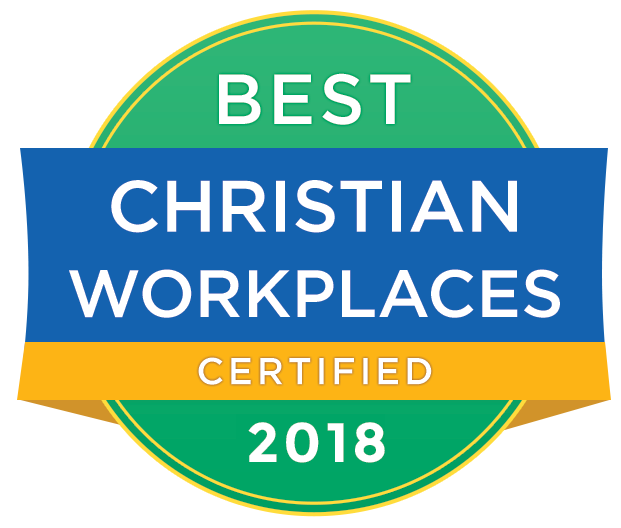 We have a wonderful opportunity available to us. Pastor Tom Lane of Cornerstone Assembly of God in Danville has generously offered to match the first $1,000 donated toward our women’s center. We need approximately $105,000 to purchase and install the septic tank and furniture. Please click HERE to go to our Facebook Page where you can donate on the post collecting money to meet Cornerstone’s match. Will you donate today to get us a step closer to opening our doors for women who desperately need help?We also accept donations through our website HERE or by mailing a check to us. As always, Thank You for your support of Isaiah House through prayer and your giving. We couldn’t be making such strides in restoring broken lives and families without you. Melissa Howard is our "Five Star Employee of the Month"
Melissa is our Human Resources Supervisor. Her job includes hiring, insurance enrollments, policy and procedure, maintaining personnel file records, well, basically all things employee related. With a staff of 150 employees, there are many employee related tasks to keep Melissa very busy. As we grow and expand to save more lives from drug and alcohol addiction, our needs expand too. We are in desperate need of vehicles. 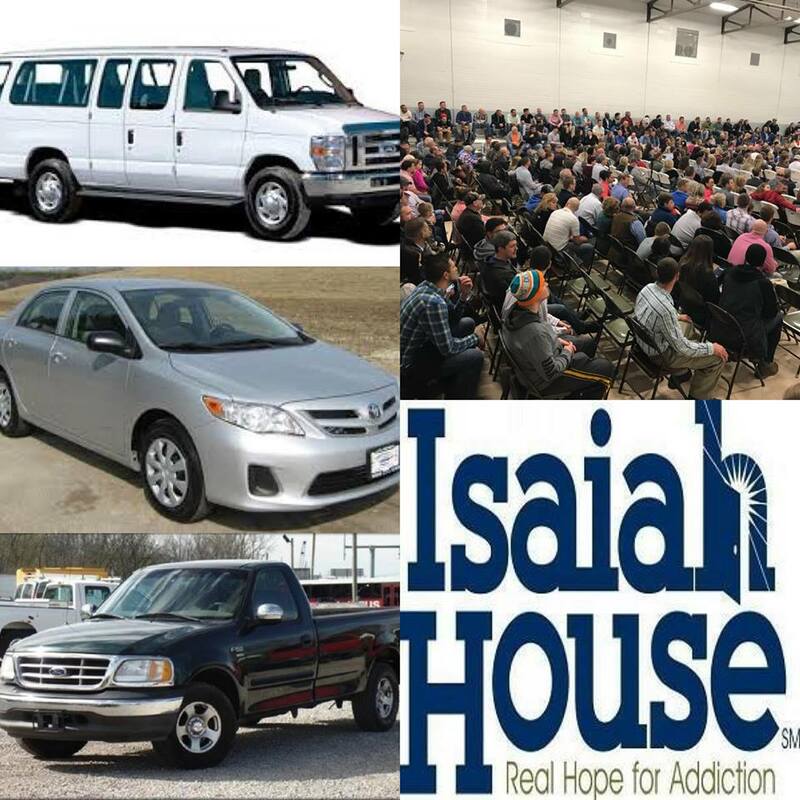 We especially need 15 passenger vans to transport the men to church, to their jobs and to help in our local communities. We also need small cars to take clients to appointments like the doctor, dentist, and court. And we need trucks for our businesses, Isaiah 58 Builders and Clean Cut which are also used to pick up and deliver larger items such as donations and supplies. If you can donate a vehicle or help us locate a reliable vehicle, please call Andy Ayers, Vice President of Operations at 859-375-9200. 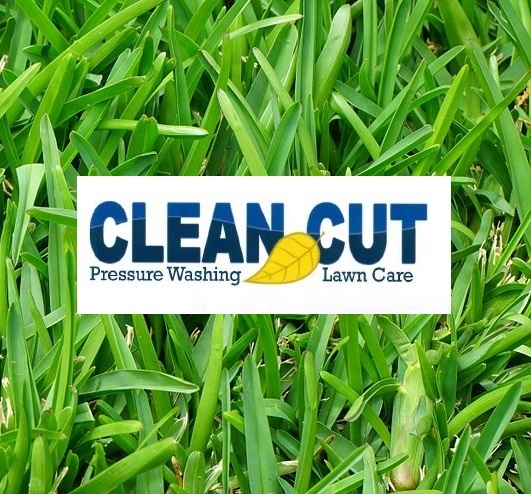 We are a 501(c) non-profit organization. Donations can be tax deductible. UPDATE! We want to extend a great big THANK YOU to the Jasper Family from all of us at Isaiah House. We greatly appreciate the donation of a fifteen passenger van for transportation of our clients. God bless you for your generosity. We made a video for The Jasper Family to show our sincere appreciation. We need your help purchasing new twin mattresses and mattress covers for 190 beds. 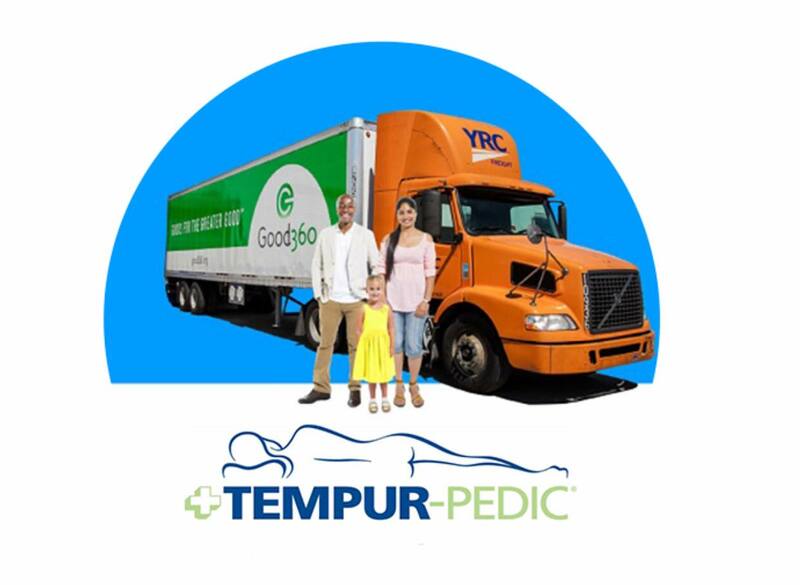 We are partnering with Good360 to get a 94% savings -only $64 per mattress yet the total cost with this many beds is very large. Will you donate to purchase mattresses and mattress covers for our guys and for our new women’s center opening in 2019? If you feel led to help with this need, click on the picture above to go to our Facebook post and use the donation button there or click on a DONATE button here in this Newsletter, that will take you to our website or as always you can send a check. Please include a note that tells us what you are donating for. No amount is too small. We appreciate your support. Oct. 29 through Nov. 2, as you shop online on Amazon, use AmazonSmile and the AmazonSmile Foundation will donate 5% (10 times more than usual) to Isaiah House, Inc. as the charitable organization of your choice. I love Isaiah House, part of my heart is there. Prayer for all.